Are you passionate about sustainability? Do you want to get hands-on experience working for a small publication? Grid is looking for eco-minded individuals in the Philadelphia area interested in contributing to our monthly magazine and online content. This is a great opportunity to get hands-on experience reporting, researching and fact checking in a small team. Preferred candidates will have strong writing skills and an interest, if not experience, covering environmental or sustainability issues. Editorial internships are typically a semester-long and unpaid, but students can receive school credit for their time. Below is a description of internship duties. 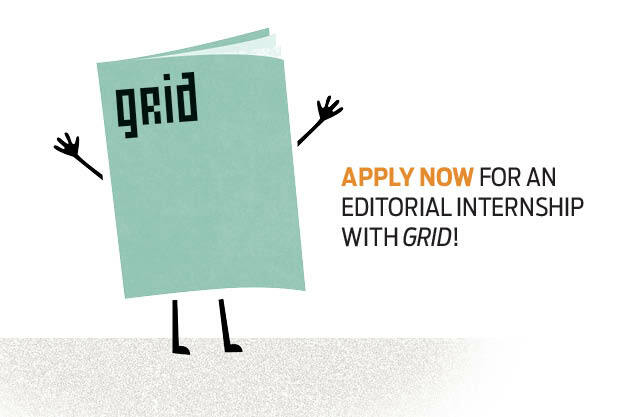 If interested in applying, please send a resume and a few writing samples to Grid's managing editor Liz Pacheco (liz[at]gridphilly[dot]com).